It's been almost six months since Equifax announced a massive data breach that exposed the personal information of as many as 145 million Americans. So now's a good time to ask yourself if you're being proactive about protecting your financial health. First, let's go over some lingo: credit report vs. credit score. A credit report lists all your credit card accounts and loans, your payment history, and other personal financial information, including your Social Security number, date of birth and employment information. It also lists lenders that have pulled your credit. A credit score is the three-digit number that represents your creditworthiness. It's based on the information that's in your credit report, and lenders use your score to determine whether to loan you money and at what terms. The better the score, the more likely you are to get a lower interest rate. Here's why your score is important, and three ways you could be messing it up. CHECK YOUR CREDIT REPORT. SERIOUSLY. Half of US adults haven't checked their credit report or score in the last six months, according to a recent survey. 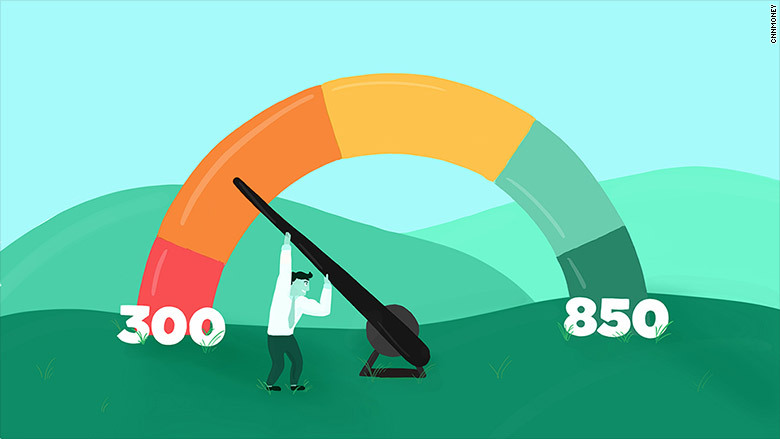 Experts say you should make checking your credit history and score part of your routine, reports CNNMoney's Kathryn Vasel. Taking a peek at your credit score is easy since some credit card companies include it on monthly statements. You can request your credit report from one of the three national credit bureaus once a year for free. Try staggering those reports every four months to keep a pulse on your financial well being. You can order the report online for free here. Americans feel great about the economy -- especially when it comes to their job prospects and earning potential. The unemployment rate is 4.1% -- which is good news for job seekers, but leaves companies in the lurch to find the right workers. Wages have finally started to rise, making it more difficult to lure people away from existing jobs. So much so that online job sites like ZipRecruiter and Indeed are competing to find candidates. That doesn't mean it's easier to get a new position. If you are going on job interviews, these mistakes will guarantee you don't get hired. Happy where you are but want to be promoted? Here's a four-step plan to follow.